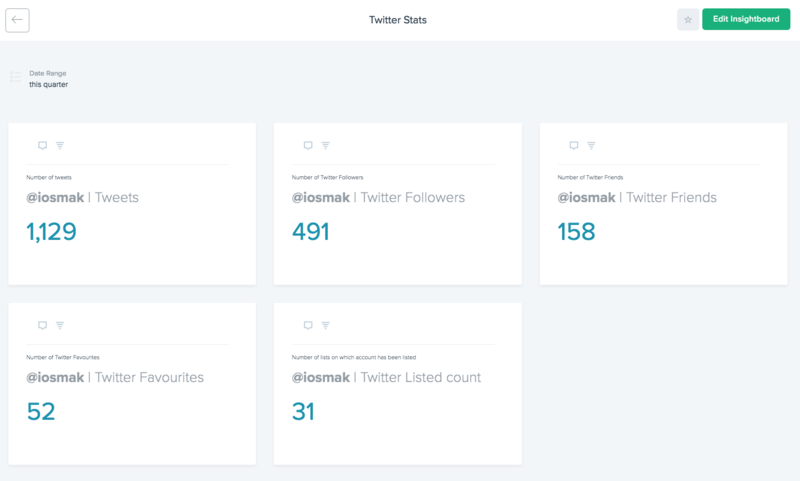 Gtmhub OKRs comes with out-of-the-box insights for Twitter that you can install with a few clicks. Here's how the Twitter integration works. Gtmhub comes with following out-of-the-box insights for popular social network Twitter. The number of followers given Twitter account has. The number of friends given Twitter account has. The number of tweets posted by the given Twitter account. The number of favorited tweets by the given Twitter account. The number of lists on which the given Twitter account has been listed.